In the months after Ramón Laguarta stepped into longtime PepsiCo (NASDAQ:PEP) CEO Indra Nooyi’s shoes, the market has rallied behind him. In the past three months, Pepsico stock has risen over 12%, compared to high single digits for the major indices. Not even the move toward healthier products and away from Pepsi’s core products of soda, sweetened beverages and chips has hindered Pepsico stock’s ascent toward 52-week highs. On top of this, the company has increased its dividend, which sits at 3%. If performance continues to exceed expectations, it’s not unlikely that another increase is on the horizon. It may be unexpected for a large food and beverage conglomerate to be generating such high returns, but under both Nooyi and Laguarta, Pepsico remains committed to its shareholders. Its diversified portfolio of world-renowned brands — including Frito-Lay, Tropicana, Gatorade and Quaker — continue to provide an attractive steady growth story. There has been a lot of momentum coming off a strong a strong fourth-quarter and end to 2018. Laguarta intends to capitalize on PEP’s organic growth trend and guided to 4% organic revenue growth in 2019. While EPS might take a slight hit due to investments in the business and an increase in its effective tax rate, 2019 should be viewed as a year of transition as Laguarta leaves his mark on Pepsico. The market expects this business line to capture new demand, in especially in premium snacking. Brands like Simply, SunChips, Smartfood and Off the Eaten Path, will be in focus, so it is important that investors track the category’s performance in the upcoming quarters to make sure that Pepsico is continuing to compete effectively across the entire snacking category. In most of their key markets, PEP is the No. 1 or No. 2 overall food and beverage supplier. They have been very successful in marketing their products at a local level and adjusting marketing messages based on the market. Earnings should confirm that this dominance continues. They have rewarded shareholders with their success as well. On the dividend front, Pepsico stock has not disappointed. The company delivered compounded dividend growth of 9% over the last six years, returning $45 billion to shareholders. Over that same time period, organic revenue growth has averaged 3.8% and core operating margins have expanded by 1.6%. Laguarta expects to continue that growth by investing in its broad portfolio, and 2020 should be an even stronger year with high-single-digit core constant currency EPS growth. 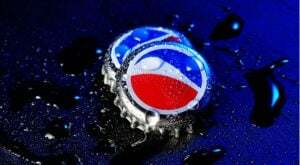 The one drawback on Pepsico stock is its valuation. Trading near 52-week highs and at a 14x P/E and 2.7x sales, Pepsico doesn’t look cheap. However compared to The Coca-Cola Co (NYSE:KO), which trades at 30x P/E and 6.3x sales, Pepsico stock doesn’t look expensive either. For a leader in the international food and beverage sector that has a history of raising dividends, this could be a steady return generator if the company continues to meet guidance targets on growth and earnings. Otherwise, I could see a single-digit pullback on disappointing earnings. Article printed from InvestorPlace Media, https://investorplace.com/2019/04/pepsico-stock-q1-earnings-preview/.